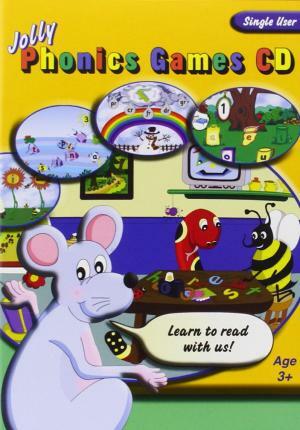 Enter the interactive world of Inky Mouse and her friends as they practise all of the five skills in Jolly Phonics. With 20 fun activities to explore, children will be able to practise and revise their own knowledge. System Requirements: PC: Windows® XP, Vista, 7 or 8. 633 MHz (or higher) CPU. 600 MB free hard-disk space. 4x CD-ROM drive. Mac®: OS X® 10.5 – 10.10 PowerPC® G5 or Intel® processor. 350 MB free hard-disk space. 8x CD-ROM drive.